The sun is shining today and I am happy! I am in the North Georgia Mountains with all my crafting friends! I am so thrilled to be here with all of them! We are having a blast! 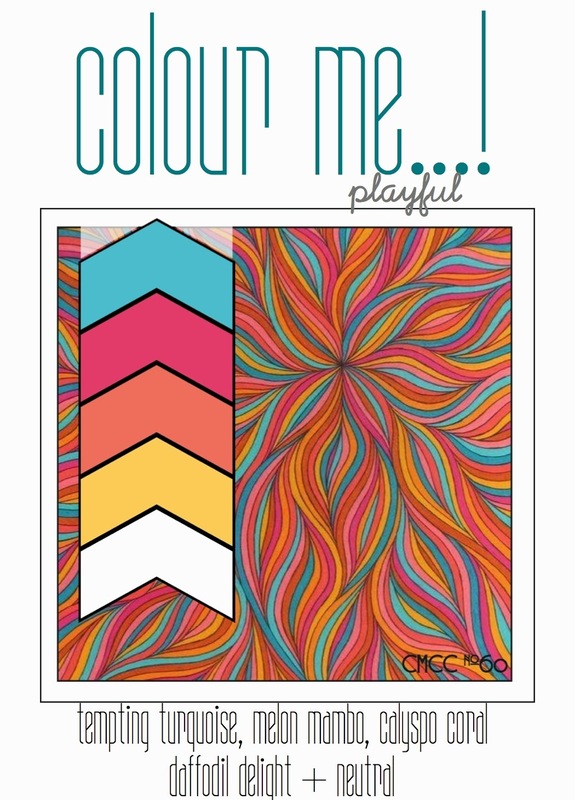 I need to get started on my Easter cards, so my first card is for the Colour Me...! Color Challenge! 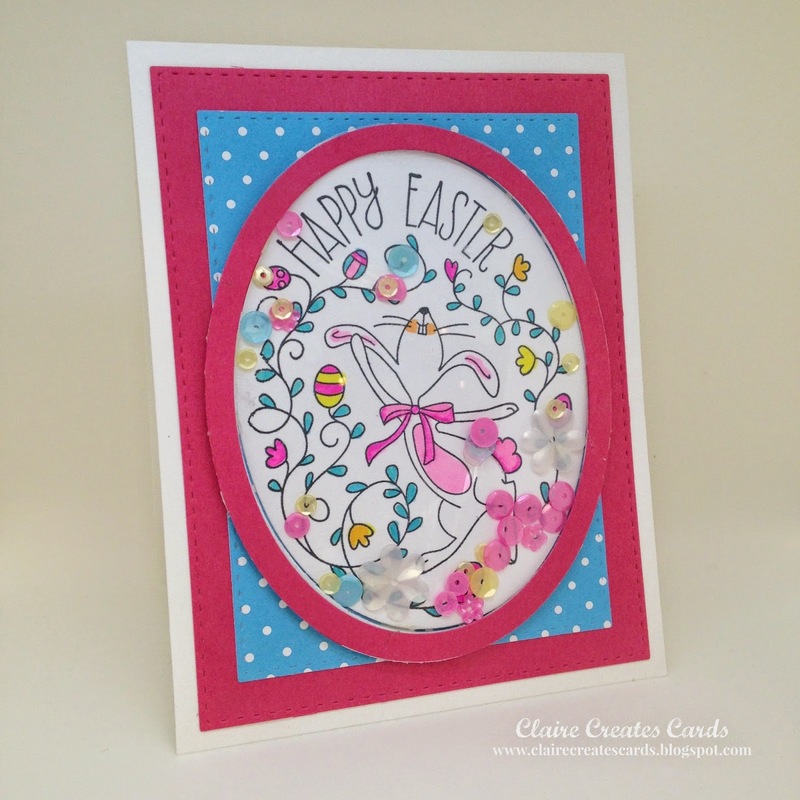 The color palette of Tempting Turquoise, Melon Mambo, Calypso Coral, Daffodil Delight were perfect for my card! I love the bright, "Playful" colors this week! 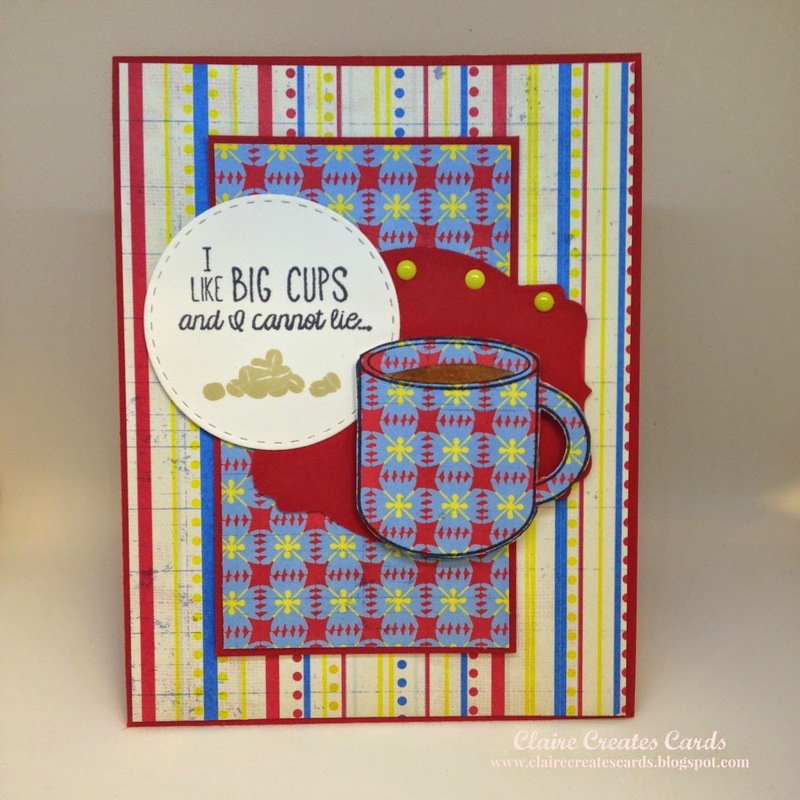 My card features the new Stampin' Up! Happy Easter Bunny Stamp. Who wouldn't love to receive a fun shaker card with this dancing fellow inside! I used all the colors in the sketch in the bunny image coloring. We have terrible internet coverage where we are staying, so I won't link my products today. If I have time later, I will add them. Any questions, contact me at: Claire. 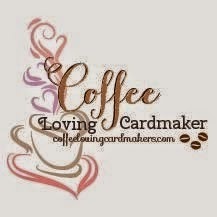 I am so excited to share my card with all of you on the Coffee Loving Card Makers Spring Blog Hop!!!!! It is just fantastic to be a part of this awesome event! 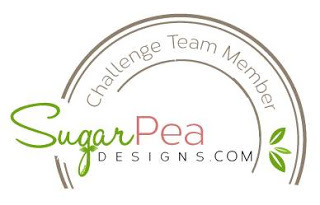 A huge shout out to Amy Tsuruta for ALL she does to manage and plan this amazing blog hop! All the sponsors rock for supporting this great endeavor! I drink so much coffee every day! This is the perfect blog for me! I laugh when people ask me how many cups I drink a day?!?!?! Well, how about 2 pots! 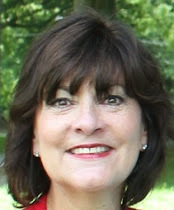 I hope you have enjoyed my card and I am so thrilled you visited my blog. Please leave a comment if you have a minute. I love to hear from you! It makes my day! 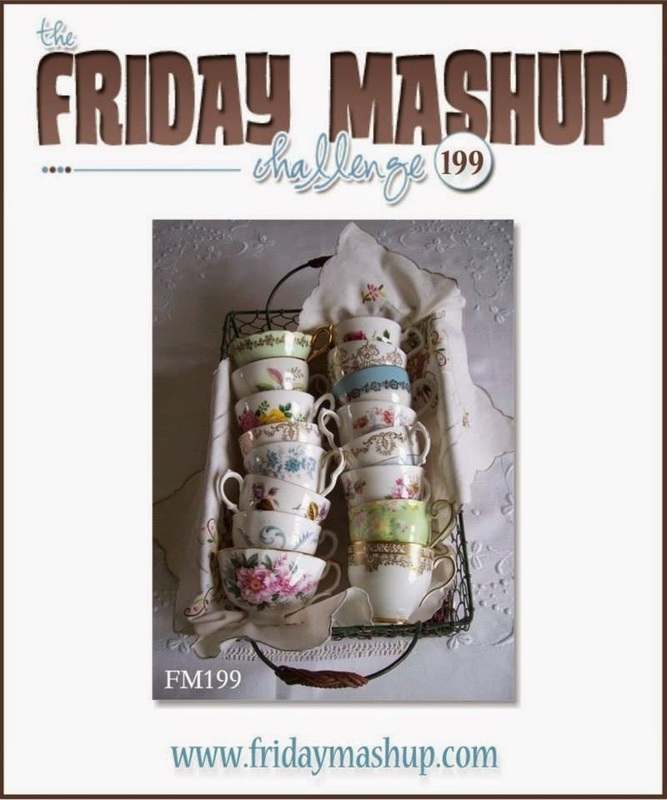 It's Friday and time for a new challenge at The Friday Mashup! This is my last card for the month of February as a Guest Designer! I have loved working with Holly and her fabulous Design Team! Thank you for this wonderful opportunity! or Mash it Up! 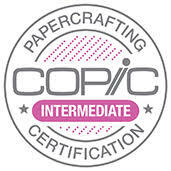 and create a project "using the theme and the embossed embossing technique. The Challenge will close on Wednesday, March 4th @ 6pm EST. Be sure to read the guidelines above under "about the FM" if you are new to our Challenge and Welcome. We can't wait to see what you create with this fun Mash' Up! For my card, I used both an antique theme and the embossed embossing technique. I chose the retired, "Vintage Verses" from Stampin' Up! for my sentiment. So Saffron and Wisteria Wonder were the colors I picked for my card. I distressed the sides of all the layers with Tim Holtz, Tea Dye Distressing ink. 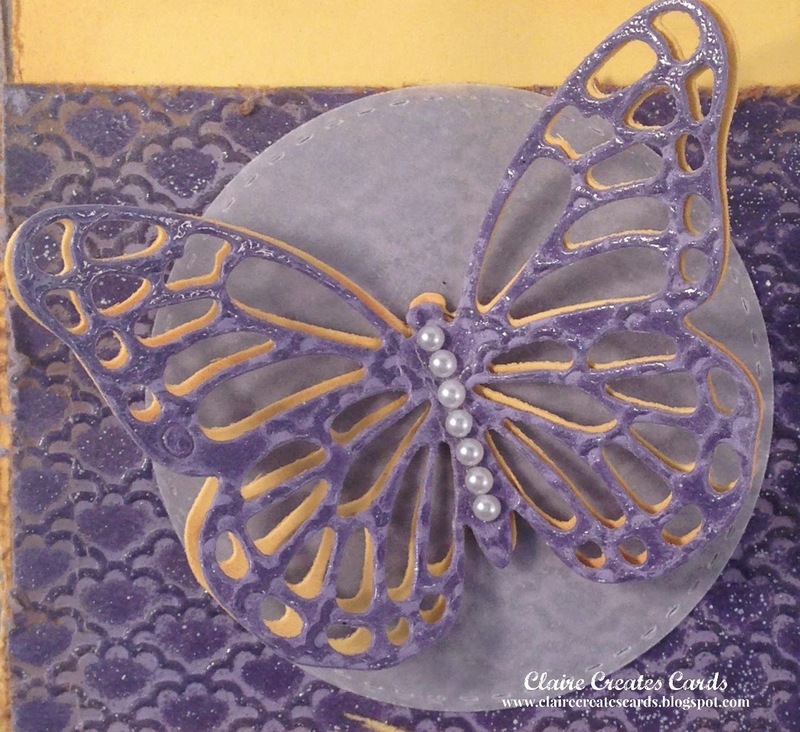 After embossing the Wisteria Wonder I heat embossed it with clear embossing powder. The Butterfly is cut twice. 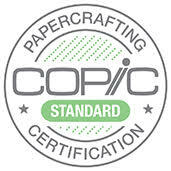 Once with So Saffron and the top layer is cut used the extra piece of embossed paper. It adds a lot of shine and dimension to the butterfly. Add a few pearls, and it is perfect! I love the way it turned out! Thanks for stopping by today! Stop by all the blogs of the Design Team members on The Friday Mashup for lots of inspiration! We can't wait to see what you create! Please leave a comment and let me know what you think of my card. I always love to hear from you! It has rained ALL day in Georgia! I am OVER it! I know I shouldn't complain--it isn't snow but, enough wet stuff! I need some sunshine! 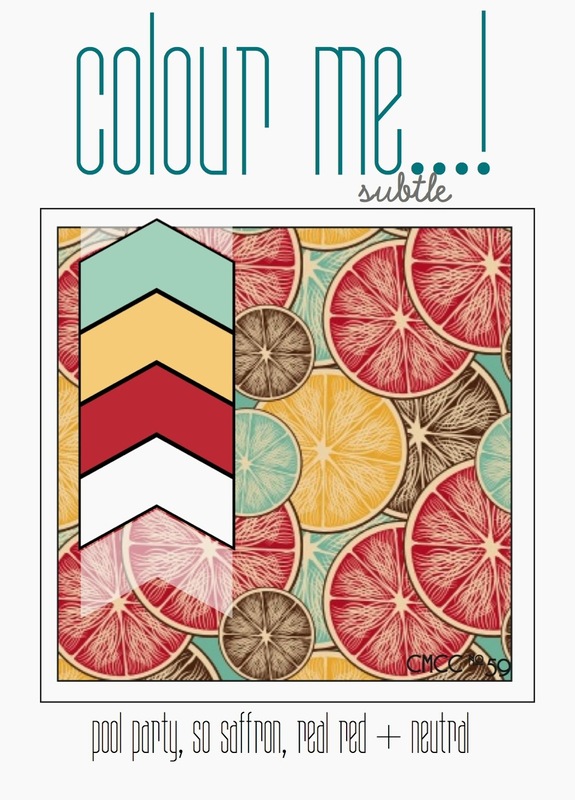 I did have a lot of extra time today, so I made a card for the Colour Me...! Color Challenge. I just love their challenges. The Design Team rocks it every week and I am always inspired by them. THANKS! The colors this week are beautiful! Pool Party, So Saffron, Real Red and a Neutral. A Subtle palette that is amazing together! 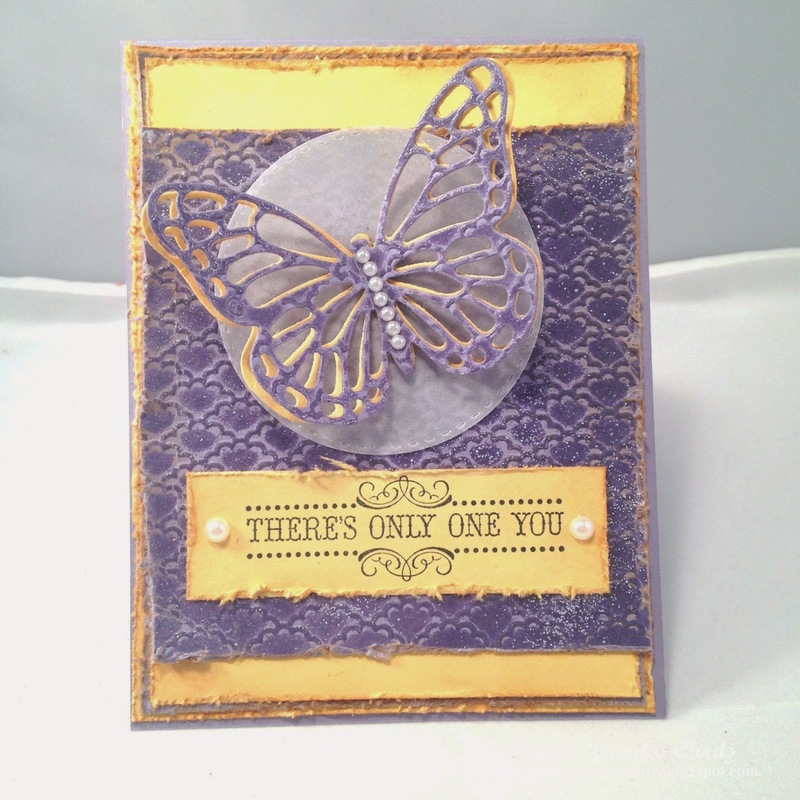 I am using my new stamp set from W Plus9 Designs. It is called Ink Splats! I just love it! I have so many ideas for this fun set. I hope you enjoy my card! I randomly inked the different splats of ink on Whisper White Paper. I cut the word "Scatter" five times and adhered them together to make it pop off the white background. Red is my favorite color, so I was very happy with the way it turned out. I cut borders of Pool Party and Real Red with my stitched rectangles and adhered them to a Pool Party card base. 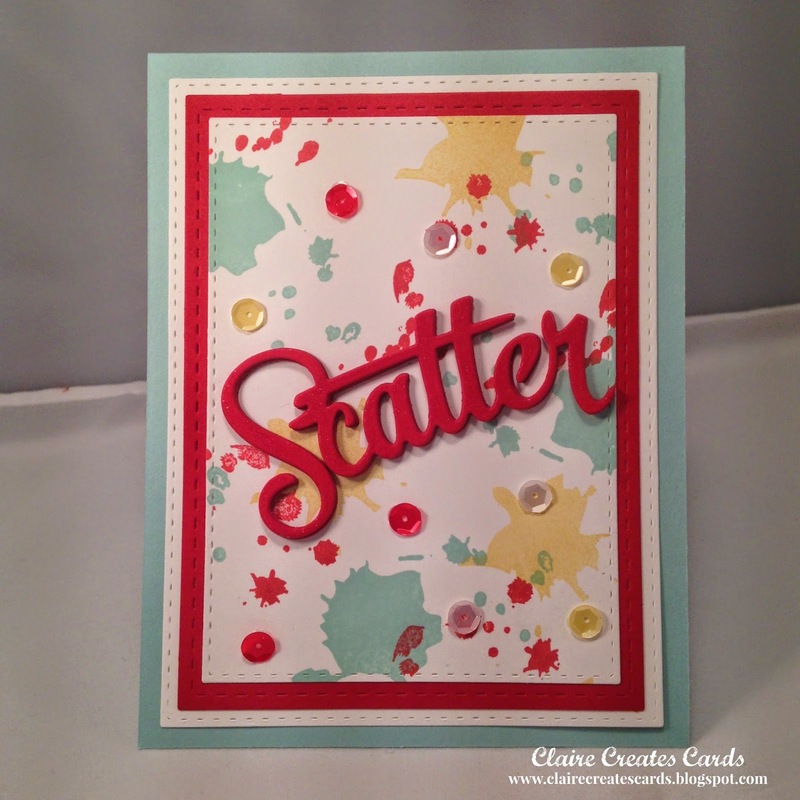 I used Wink of Stella all over the word "Scatter" to make it shine. It is difficult to see in the picture. A few fabulous sequins from Pretty Pink Posh finish my card. Please leave a comment if you have time. I just love to hear from you! If you have any questions, please contact me at: Claire. 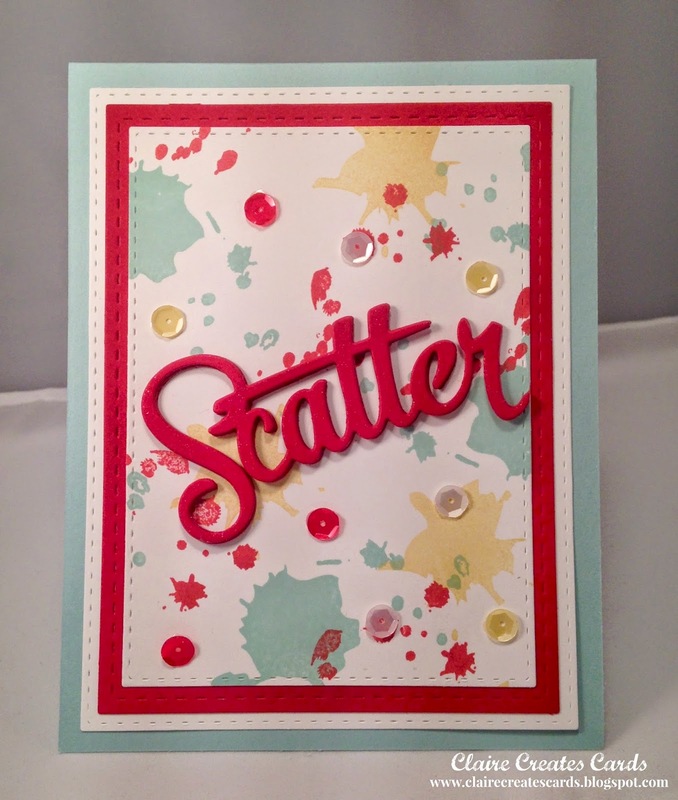 The "Scatter" die is from Papertrey Inks. It was in a special kit called Shakers and Sprinkles. I don't know if it is still available. Sorry!